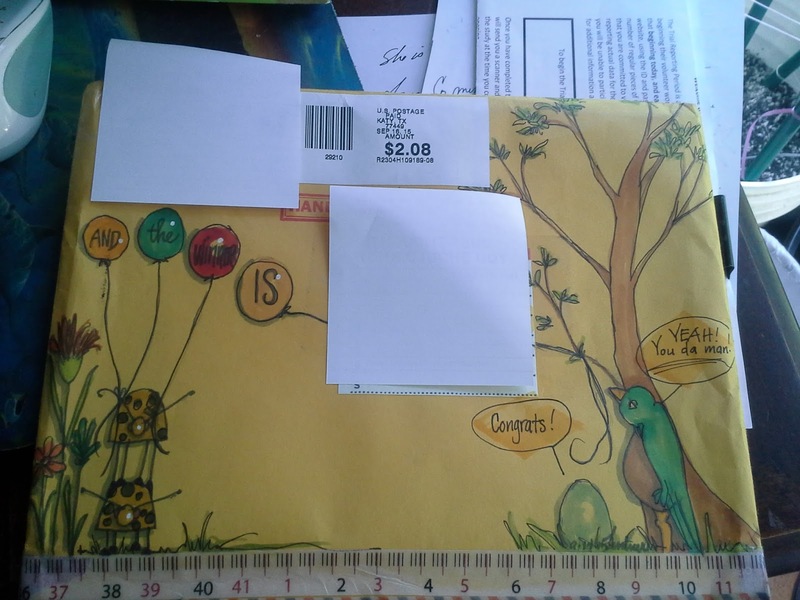 Look at that envelope will you ? is that not awesome mail goodness , Of course it is and it is whoa baby hold on to your shorts good . I love this coloring book as well . 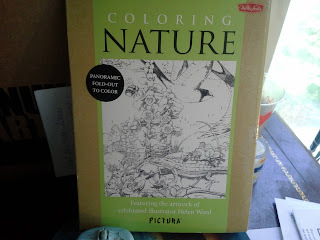 For now I will use it to practice drawing my birds and animals so much better than I have been . In the meanwhile I want the person who sent this to me to know a nice lil thank you is coming your way . God bless you my friend . I'm so glad you think so highly of me to give me a gift like this I am blown away and I will leave it at that . well now it has come to my understanding that the new muppets show will pair Kermit the frog up with another female besides miss piggy . I'm sorry but what are we teaching our children ? every child I know loves Kermit the frog , and all the charecters from sesame street .I think it is a very bad idea to pair Kermit up with someone besides miss piggy . It makes him out to be a cheater . Do we really want to teach our children especially our sons that it is okay to be a cheater ? I for one don't want the muppets teaching my grandson or future grandsons that it is okay to be a cheater . Also don't want my granddaughters thinking that it is okay for a husband to be a player or a cheater . I will let my views be known to the powers that be at abc who is accepting this show into their fall lineup . I for one am outraged and pointing my angry finger at the powers that be . How much more can one take ? Yes , I mean really , how much more can one take . All this house business is about to drive me nutso . I truly mean that . I have had about enough of the back and forth , back and forth and then I want to scream my lungs out . Yes it is aggravating . I thought baking a pie might help . It did for about two minutes and then it was back to the driving me nuts again . UGH !!! !